The ability to use CCTV (Closed Circuit TV) to conduct surveillance is an invaluable asset in the world of security. Using a CCTV system, individuals, companies and organizations can instantly reduce or even cease the amount of loss they experience due to theft. Retailers rely on CCTV to monitor their shops, stores, employees and shoppers. The effect is an incredible and dramatic reduction as a direct result of the innovative loss prevention method that CCTV provides. Video surveillance often proves vital when it comes to litigation, whether in defending against bogus claims or prosecuting the increasing number of thefts that occur each and every year. Often times CCTV surveillance proves to be just the piece of evidence that completes a case. It's extremely difficult to dispute evidence that is caught on video. 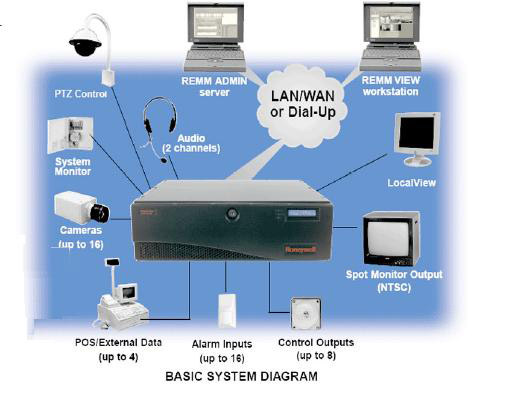 Some CCTV systems can record to DVRs or video cassettes and be used later in a court of law. Institutions like hospitals or and companies that have warehouses and large amounts of storage rely on CCTV to monitor activity inside the location as well as to monitor the surrounding areas. Closed circuit television is an advance in technology that serves one's security needs well. It can prevent theft and vandalism, and improve the utilization of areas that might otherwise be unsafe. Airports are also relying on the use of CCTV to monitor everyone that enters the airport. In fact, CCTV is an imperative part of anti-terrorist security plans. Monitoring the inside and outside of airports is a major move in counter terrorism efforts. Our individual, business, and organizational clients can use CCTV as a virtual patrol service. Rather than having a security patrol monitor a location, the CCTV can monitor a site 24 hours a day, seven days a week. This minimizes the cost of security by reducing or eliminating the need for security patrols or on-site patrols.